Every Third Thursday this summer, Armonk residents and visitors enjoyed a summer of early evening activities galore in and around Armonk Square and Downtown–a ‘Chii Cookoff’ set the tone early on for some truly delicious fun. 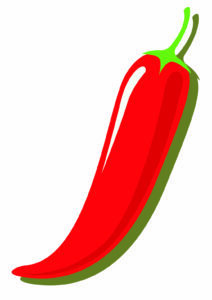 This year had a 40% increase in the chili makers from local chamber member restaurants. “The chili contest has become our premier Third Thursday event,” said Neal Schwartz, Armonk Chamber President. “This year we raised money to contribute to our 2019 student scholarship fund.“ Here: first place winner Moderne Barn’s turkey chili recipe–just in time for us to share for back to school. Tauk Restaurant claimed the second prize! Heat oil in a large heavy pot and heat ground turkey until well browned. Remove ground turkey with a slotted spoon and set aside. Add onions, bell peppers, jalapeno, celery and garlic and reduce heat. Sweat out vegetables approximately five minutes. Add chili powder, cumin, coriander, paprika and oregano and continue to cook out for another two minutes. Add tomatoes, chicken stock and ground turkey. Bring to a boil and reduce to a simmer approximately 15 minutes. Add drained beans and continue to cook another 10 minutes. Season with salt and black pepper to taste. Garnish with cilantro and scallions.